Replacing and Resetting the Transfer Kit Unit in HP 3700 Series Printers | TonerGreen - Eco-Friendly Toners from the U.S. The HP 3700 Series printers consisting of HP Color 3700, Color 3700dn, Color 3700dtn and Color 3700n printers are digital laser printers that also use transfer kit unit as printer consumables aside from its laser toner cartridges, the HP 3700 toner cartridges: HP Q2681A cyan, HP Q2682A yellow, HP Q2683A magenta and HP Q2670A black laser toner cartridges. The transfer kit consists of an Intermediate Transfer Belt (ITB), a transfer roller, two air filters, and a hand wipe, and this is the component responsible for transferring the toner powder to the paper. Unfortunately, unlike the other laser printer components, this wears off in time and needs to be replaced. That’s why for today’s article, we’re going to give you the step-by-step procedures on how you, as the end user, can replace and reset the transfer unit of your HP 3700 printer all by yourself. Step 1 - Lift the front door handle and pull down the front door. Step 2 - Grasp the right blue handle. Press and hold down the blue button. Slightly lift the right side of the transfer unit. Step 3 - Grasp the left blue handle and lift to remove the transfer unit from the printer. Step 4 - Using handles, remove the new transfer unit from the bag. Use the blue handles on both sides to hold the transfer unit. Step 5 - Place the new transfer unit on a flat surface. Remove the orange tape and orange shipping locks on the rear, left and right sides of the transfer unit. Step 6 - Guide the left side of the transfer unit into the front door of the printer. Insert the two pegs on the left side into the holes, and then lower the right side into the door. Step 7 - Make sure that the blue button on the right blue handle has released. If the button has not released, grasp the right blue handle and pull the transfer unit toward you. Step 8 - Firmly close the front door. Step 9 - After the front door is closed, after a short time, the printer control panel displays the message NEW TRANSFER KIT. Step 10 - On the printer control panel, press DOWN arrow to highlight YES, and then press SELECT to select it. The transfer unit count is reset and the printer is ready to use. If you have installed the transfer unit and the printer does not recognize it (which usually happens when you’re using alternative printer consumables), then it proceed to resetting the transfer unit counter by following these steps. Step 1 - Press MENU to enter the MENUS. Step 2 - Press (Down arrow) to highlight CONFIGURE DEVICE. 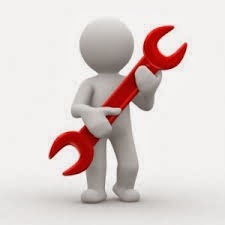 Step 3 - Press (Select) to select CONFIGURE DEVICE. Step 4 - Press (Down arrow) to highlight RESETS. Step 5 - Press (Select) to select RESETS. Step 6 - Press (Down arrow) to highlight RESET SUPPLIES. Step 7 - Press (Select) to select RESET SUPPLIES. Step 8 - Press (Down arrow) to highlight NEW TRANSFER KIT. Step 9 - Press (Select) to select NEW TRANSFER KIT. Step 10 - Press (Down arrow) to highlight YES. Step 11 - Press (Select) to select YES. The transfer unit count is reset and the printer is ready to use. Lastly, remember that when you printer does not recognize your alternative printer consumables; it doesn’t mean that they are defective. 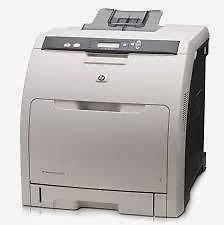 It’s just that HP printers are boot to recognize genuine HP supplies and that all you need to do is to reset the printer’s counter or reset the printer itself for it to recognize your compatible or remanufactured printer supplies.